If you think you’re going to save yourself time and money by posting a “For Sale by Owner” sign in your yard, you may want to think again. Some people think that by cutting out a professional real estate agent, they’re saving money. On the contrary; people trying to sell their own house without the expertise of a professional realtor often end up shooting themselves in the foot, so to speak. There are many reasons you should forfeit the concept of “For Sale by Owner”, and start interviewing qualified agents to help you sell your home. A professional real estate agent will help you assess your property to determine its true value. You may assume your home is worth what you paid, or even more if you’ve spent time installing upgrades and remodeling. But the truth is, your home is only worth what buyers are willing to pay. A professional agent will provide you with a comprehensive market analysis. This analysis takes into consideration homes in your neighborhood, similar to yours in size and style, which have recently sold. If you price your home too high, it’s going to sit on the market for long periods of time. The longer your home is on the market, the more likely you are to encounter frustrating price reductions. Your real estate agent can also help you prepare your home for showings. You might think your home is prime pickings in today’s real estate market, but it’s hard to see the forest through the trees when you’re too close. Your real estate agent can help you assess what’s working and what isn’t before your home goes on the market. He or she can help advise you on how to stage your home, neutralize your environment, and give your house the curb appeal it needs. Your agent can also help protect you from some of the not-so-nice comments potential buyers make when they’re evaluating your home with a critical eye. By allowing your agent to do the showings instead of handling them yourself, you’re providing a much-needed filter between the buyer and the seller. Otherwise, you might find yourself offended and being abrasive rather than reassuring with potential buyers. When buyer’s realtors realize you’re selling your home yourself without proper representation, they may refrain from showing your home to qualified clients. Real estate agents understand the expertise required to sell a home, and if you don’t have it, they protect their client from potential negative experiences. You have no way of determining who is a qualified buyer and who is just window-shopping for daydreams. When you’re not a full time realtor, you may not have the time to rush home to meet buyers who want to take a look – and even if you did, there’s no guarantee that you’re showing your property to someone who can actually afford to buy. Professional realtors can access resources to pre-qualify potential buyers so each time your home is shown, there’s a realistic chance of an offer coming in on the property. Professional real estate agents have access to a much larger network than you’ll have in attracting potential buyers to your home. Sure, you may spend out-of-pocket to get a MLS listing, put a “For Sale By Owner” sign in your yard, and run an ad in the paper, but you don’t have a pool of potential buyers trusting you to find them a home. What you’ll have is a hope and a dream with minimal return on investment for your advertising efforts. There are many situations in life where you wouldn’t even question the need for an expert in their field to assist you. For example, would you try to save costs on your surgeon? Your dentist? Your accountant? No. You trust these professionals because you value their contribution to your well-being. The same is true in real estate. There are experts for a reason, and you need one if you’re planning on selling your home. 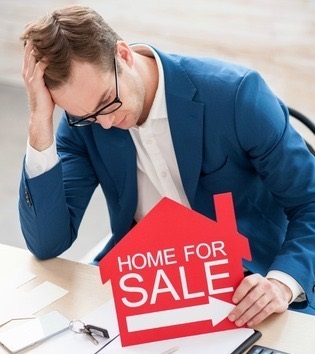 Furthermore, when you take the risk of selling your home without expert representation, you leave yourself open to legal repercussions and lawsuits. You may think you’re saving yourself a few bucks by trying to go it alone, but that’s not the reality of the real estate market. Thinking of selling your house? Give us a call at 210-639-9403 to discuss your options.